On Monday night, the Charlotte City Council approved a new South End development filled with restaurants, retail, office space and apartments. 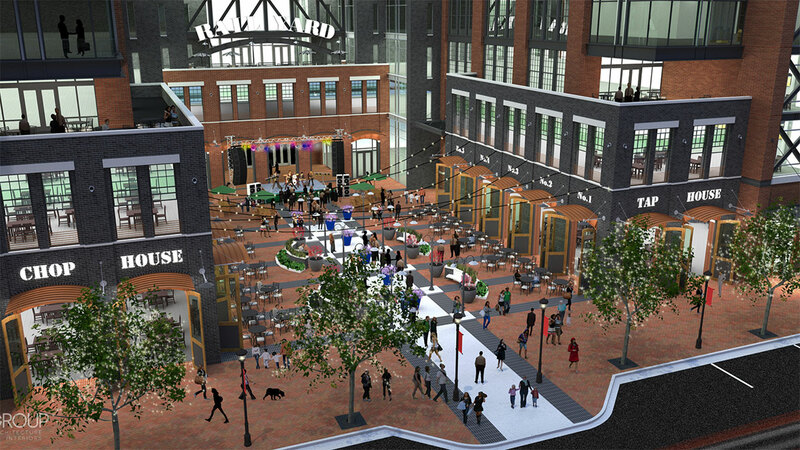 From the buildings marketing materials, “Located in the heart of South End, The RailYard provides Class A office space, along with ground level retail and restaurants, which are surrounded by an outdoor courtyard. 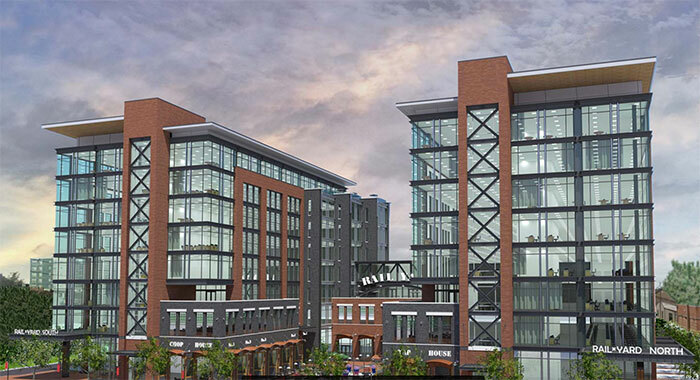 The RailYard draws an aesthetic reference that echoes Charlotte’s rich rail history, while incorporating a palette of masonry, ornamental steel and glass into a cohesive and contemporary design.” That’s marketing speak for – it’s going to have that industrial cool look. My favorite part? Their plans for micro-apartments. 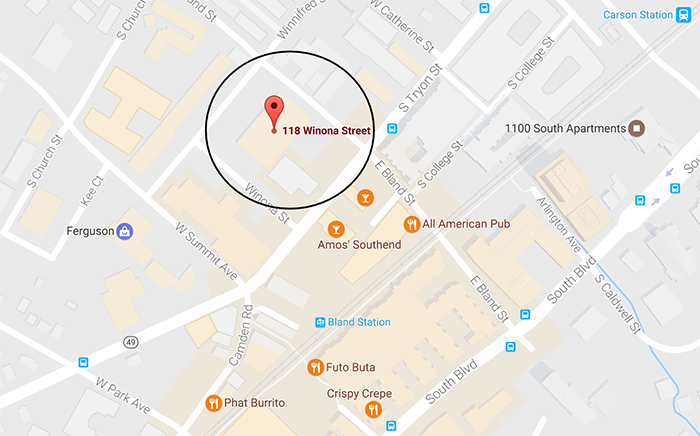 As culture changes, the micro-apartments that David Furman will develop in South End will prove to be very popular. The bet: location and money matter more than space and amenities. At the beginning of 2017, news broke that the 3.5-acre HD Supply site in South End will be developed into two gorgeous 8-story buildings – 290,000 square feet of office space, 30,000 square feet of ground floor retail and about 100 apartments. In between the buildings, there will be a cool open courtyard. Charlotte Business Journal broke the most interesting part of this project – instead of Charlotte’s typical freakishly lavish apartment amenities (hammock gardens, poker rooms, salt water pools, wine lockers, dog spas), big dawg developer David Furman will create micro-apartments with limited amenities and a focus on affordability. In non-real estate PR speak, here’s the pitch: Your apartment will be small and you won’t have the fancy stuff, but if you want to save a few hundred bucks and live in an A+ location, rent here. David didn’t specify square foot layouts of these apartment units, but I’d expect these micro-apartments (aka adult dorms) to be between 300 and 500 square feet. And rents to be between $600 and $800. Micro-apartments have become popular in cities like San Francisco, New York, and Seattle. Why not Charlotte? 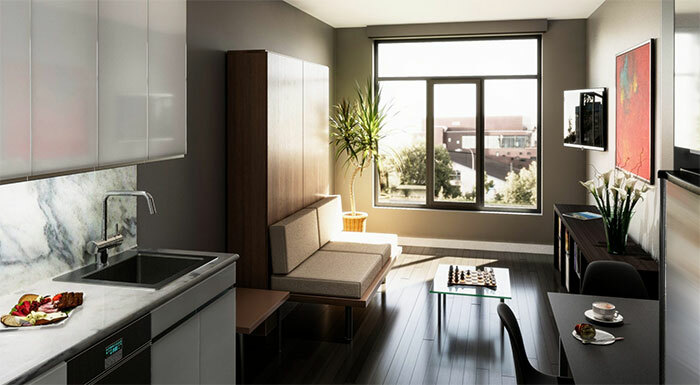 Here’s an example of what a micro-apartment in South End could look like (via a new development in California). It’s not just the 20-something rich investment banker type person who is creating the demand for urban housing in Charlotte with excellent walkability. 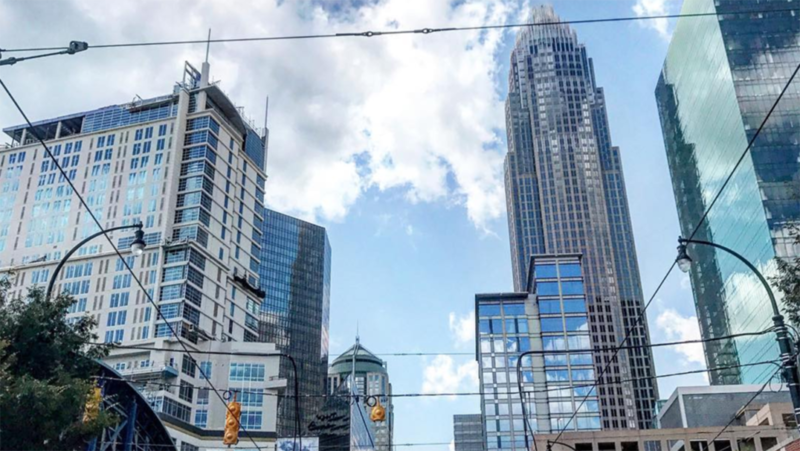 As more people stay single longer (and more married people get divorced) many Charlotteans are looking for a cool, urban environment. Additionally, I wouldn’t be surprised we see even more modular housing (or hotels) from local space innovator Boxman Studios – it’s easy to picture a tiny pop-up hotel for major events. I’ve been shocked (and somewhat saddened) by the amount of people spending a high percentage of their income to rent in hot neighborhoods like South End because they would never even consider living farther away from the city. And I’m talking SouthPark far away, not Ballantyne far away. Culture is changing in Charlotte, fast. David Furman’s 100 micro-apartments in South End will easily find renters and we should expect this new type of Charlotte urban living to become normal – not just something from hipster millennials.